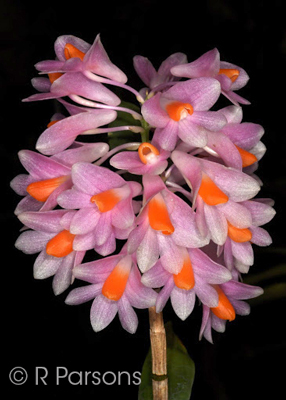 Dendrobium pseudoglomeratum outcross #1966 ('Stony Point' x 'Lisa') (approximately 25 seedlings per flask). 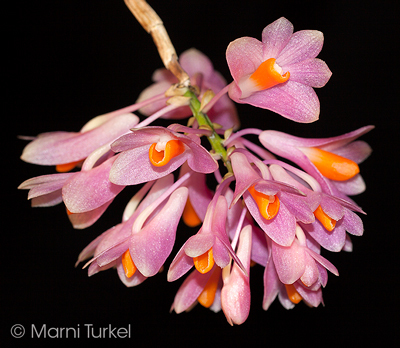 The Species: This grows on the island of New Guinea from sea level up to 6000 ft elevation. 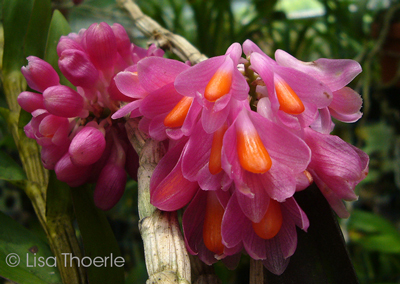 It grows as an epiphyte in forests along rivers. The flowers are fragrant and clustered at the apex of both old and new canes. Culture: I grow this plant with 55 degree minimum night temperatures in bright shade. I suspect it might do better a bit warmer. It is mounted on cork and this allows the "semi-erect" canes to hang down freely and arch out gracefully. 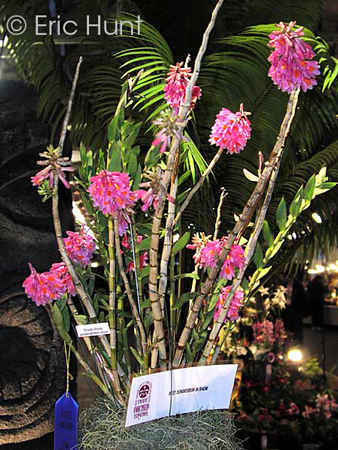 It can also be staked up and grown in a pot with a free draining medium. It does not get a dry rest and conditions should be maintained all year. I water most every day and use dilute fertilizer.